Dr. Heather Buckley graduated with her medical degree from the University of British Columbia (UBC) and completed her residency in Family Medicine at the University of Western Ontario. Dr. Buckley has practiced family medicine in both Ontario and British Columbia. She has tutored in the UBC Vancouver Fraser Medical Program for the past 10 years, and is excited to be starting her Master of Health Professions Education at Maastricht University and the Clinical Educator Fellowship Program at CHES. 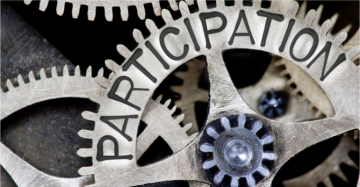 I wondered why new learners just transitioning to new clinical experiences sometimes seemed hesitant to participate and thus appeared less engaged in clinics and journal clubs. I found that some learners would jump in and take part in conversations, discussions, and even engaging with patients.